Even if you don’t have any eye or vision problems, the natural process of aging affects your ability to see and react to visual stimuli. It’s important to know the impact the aging can have on your eyes and vision so you can take the necessary precautions to stay safe and protect your eyes. Driving is one activity that can pose a high risk as safe driving requires not only good vision, but also intact cognition and motor response. 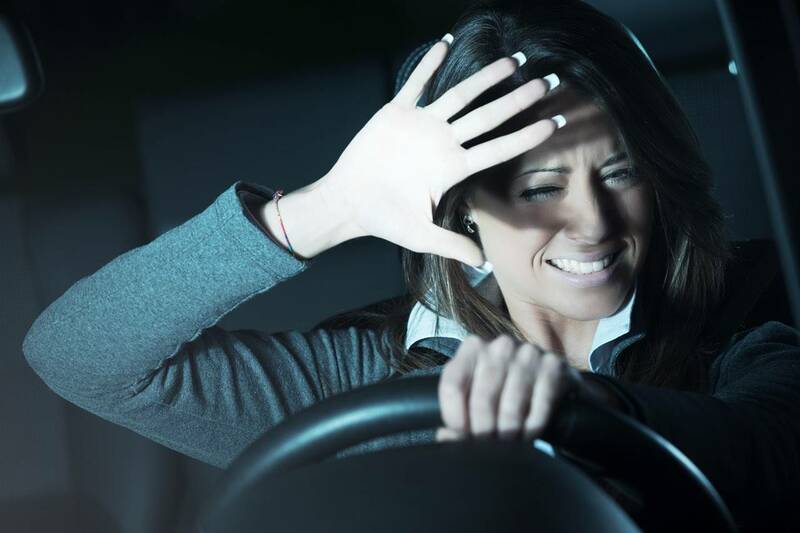 As we age, reflexes, reaction time and vision begin to deteriorate, which can impair one’s ability to drive safely, particularly under conditions such as bad weather, twilight glare, or nighttime darkness. Here are some ways that your ability to drive can be impaired as you age and some safety tips to help you to stay safe on the roads. As we age, the eye and vision naturally begin to experience a decline. The pupils in the eye, which allow light to enter, begin to shrink and dilate less, allowing less light to enter the retina. This causes reduced night vision. Additionally, some of our peripheral vision diminishes along with our ability to see moving objects. Due to deterioration of the cornea and clouding of the lens of the eye, glare becomes more disruptive and contrast sensitivity is reduced, making it harder to perceive images clearly. General imperfections in vision called higher-order aberrations cause a general decline in vision that can’t be corrected with glasses or contact lenses. Additionally, our reaction times slow, adding motor complications to the visual ones. Dry eyes also becomes a bigger problem with age as the lacrimal glands don’t produce as many tears to keep the eyes moist. Many of these symptoms may be present without the individual even noticing a decline and can all contribute to increased risk – for the driver, and others on the road. If you add in any other vision problems such as cataracts, glaucoma or macular degeneration which are age-related diseases that gradually reduce vision, you can have a serious danger on your hands. The biggest driving distraction in our day and age is cell phone usage. While many states and provinces have created laws which forbid driving and texting or holding a phone, it is not universal, and this still causes countless accidents and deaths that could be easily avoided. Even hands-free options distract you from the road and put you at risk. If you must use your phone to speak, dial or text, pull over first. If you can avoid driving at night or on hazardous roads with sharp turns, inadequate lighting or that are unfamiliar to you, you will be better off. Plan to make first time trips during the day when you can clearly see street signs and landmarks or take a practice trip with a loved one. There are glasses available that can help to reduce the glare at night and enable better night time vision. Speak to your optometrist about whether this is a good option for you. Car vents can also cause discomfort, eye irritation and create greater vision hazard, as the air blowing at the eyes can impair vision or cause watering, especially when the eye are already dry. Make sure that you get your eyes checked on a regular basis and that any eye conditions you have are being treated and monitored. Good nutrition, exercise and overall healthy habits will help to protect and heal your eyes as well. Further, listen to your instincts, if you feel unsafe driving or if your doctor (or family members) tell you it’s time to hand in the keys, think about utilizing other means of transportation to get around. Many times people are able to pass their vision test at the driver’s license bureau which gives them a false sense of security, but in reality they are not seeing well, especially at night or in bad weather. In many areas there are courses available for senior citizens to test out driving skills with instructors who do an evaluation and give feedback on their real abilities. It’s critical for seniors to speak to their eye doctors about their true vision level and any restrictions that they recommend. The key to eye health and safety is awareness. You can’t stop your eyes from aging but you can take the necessary precautions to ensure that you are protecting your eyes, yourself and those around you by knowing how your eyes and vision are affected.